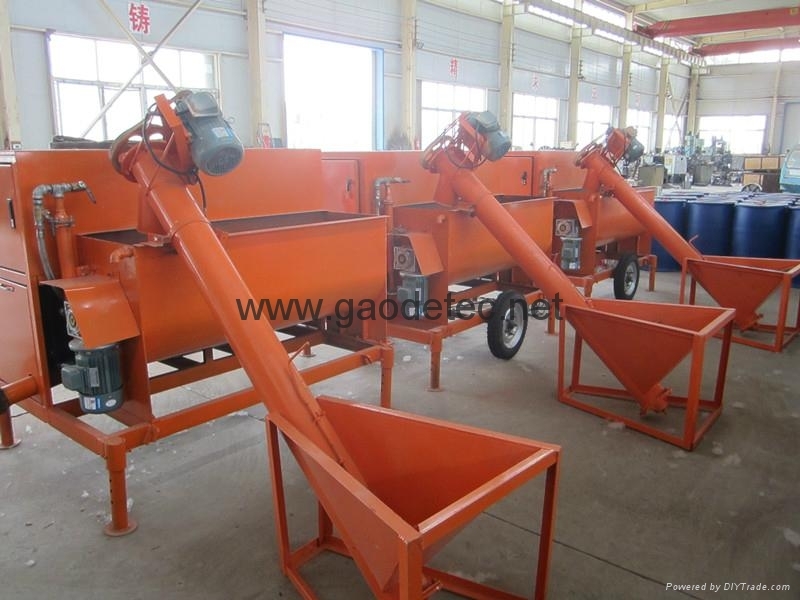 GF15 Foam concrete making machine contains feeding machine, mixing machine, and conveying pump. 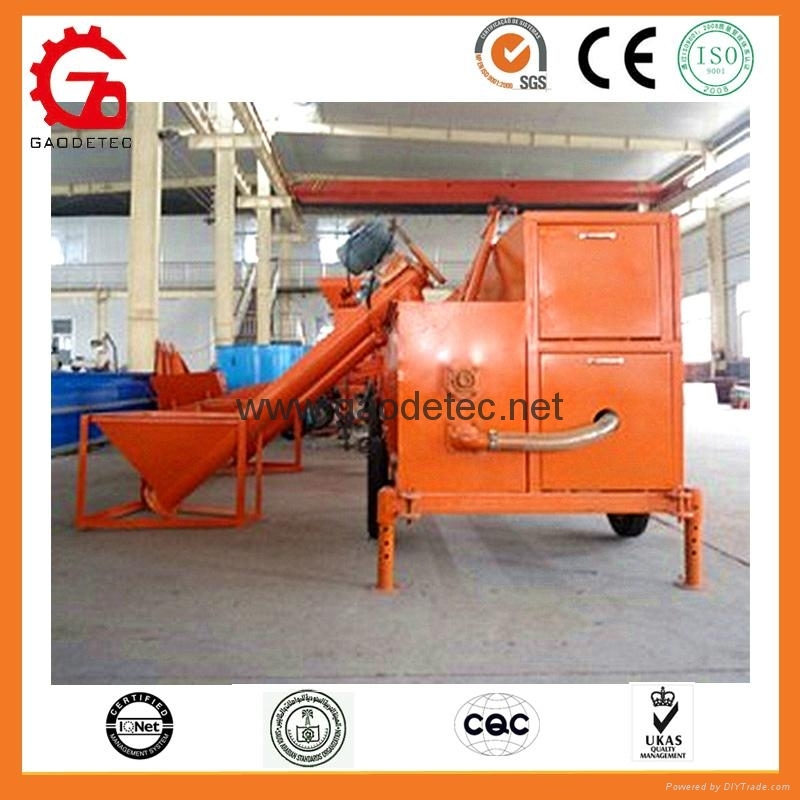 It is an integrated equipment with feeding, foam blowing, mixing and high pressure conveying. Its pump adopts double cylinder full hydraulic pumping, high pressure in the exist, could meet the requirement of the high-rise buildings. Transport height in vertical 70m, transport length in horizontal 200m. 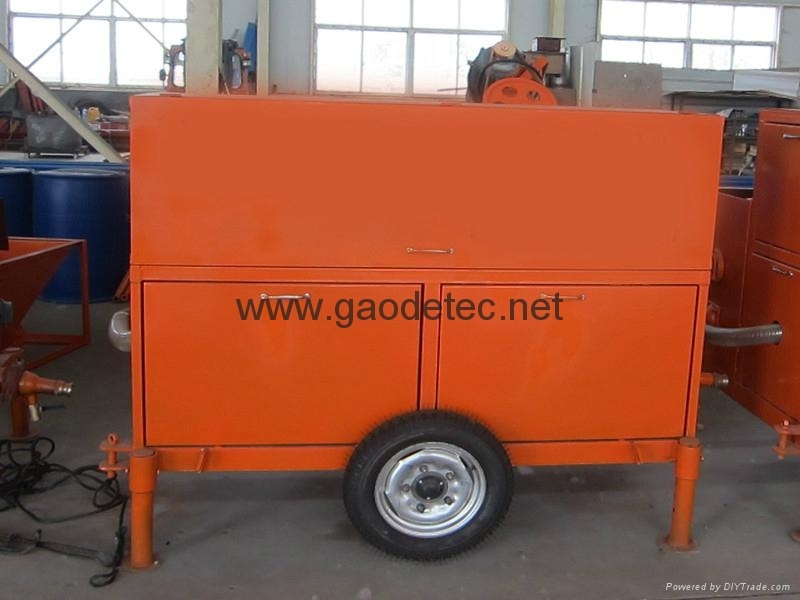 GF15 Foam concrete making machine equipped with travelling wheels, universal wheels and flexible support, easy for move and take its place. 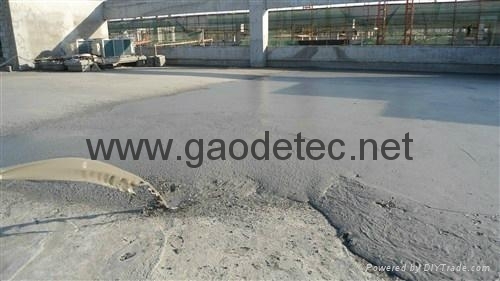 GF15 Foam concrete making machine is an ideal equipment for roofing insulation and slope, ground insulation bedding course, and foundation pit filling.